1972, the height of the Cold War. 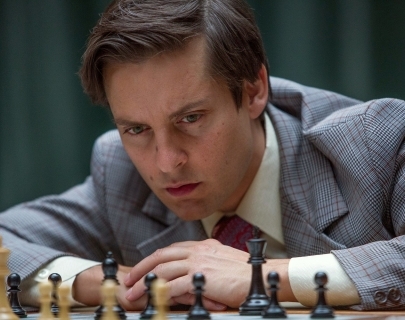 American chess prodigy Bobby Fischer (Maguire) finds himself caught between two superpowers when he challenges Soviet Grandmaster Boris Spassky (Schreiber) in the World Chess Championship. Struggling with his own genius and madness in equal measure, Pawn Sacrifice examines the rise and fall of a boy from Brooklyn who captured the imagination of the world.